During the course of the protests, Berkin Elvan, then only fourteen years old, went out to buy some bread for his family. Then, evidence suggests, a police officer fired a gas canister at close range, hitting Berkin in the head. He had been in a coma since June, slowly wasting away. By the time of his death earlier this week, he weighed a little over 35 pounds. The personal tragedy of his family has become the tragedy of a whole country. Tens of thousands have come out into the streets to mourn him. The great and the good have sent messages of condolence. 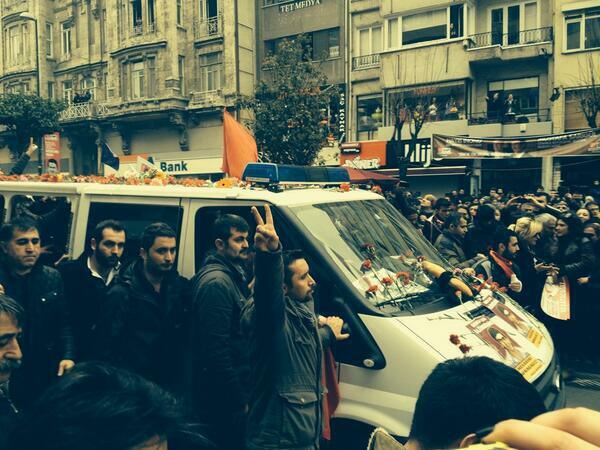 Photograph of Berkin Elvan’s funeral procession (Photo Credit: Andrew Gardner/Amnesty International USA). Nothing can be worse than a child’s death. However, the resistance of the Turkish government and justice system to effectively and thoroughly investigating the killing of a fifteen-year-old boy deepens the pain of his family and of anyone who believes in justice in Turkey. Impunity not only damages trust in the justice system, it is a threat against the future. It is not simply that an innocent child was killed by those who are meant to protect him, it is that the Turkish authorities have made no serious attempt to hold those responsible accountable. One of my colleagues noted with bitter irony that, for all the words of sympathy being offered by Turkish politicians this week, they remain silent on the basic issue of justice. In failures typical of investigations into police violence in Turkey, the police officers responsible for firing tear gas at Berkin Elvan have not been identified. No CCTV footage of the incident has been found. A single prosecutor was tasked with investigating all the hundreds of complaints into police violence that took place last summer in Istanbul. Clearly, this is not the kind of effective investigation that millions of people around Turkey and elsewhere have been calling for. 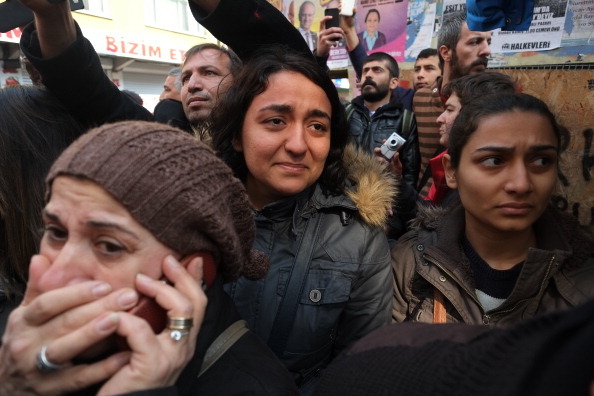 If police abuse is rampant in Turkey, it is because the authorities choose to allow it. During the height of the Gezi protests, Prime Minister Tayyip Erdogan praised police action as heroic, while thousands were being injured through police abuse. Yesterday evening, amazingly, his only public comment on the death of Berkin Elvan and the protests that have followed was that they are unlikely to have any long-term repercussions on the economy. Over the past days, tens of thousands of protesters have poured into Turkey’s streets. The night after news of Berkin’s death was released, protests occurred in at least 31 different cities in Turkey. Confident that they could act with impunity, police abuse was rampant. Sadly, it shows little signs of doing so. This entry was posted in Censorship and Free Speech, Children's Rights, Europe, Military, Police and Arms, USA and tagged abuses by armed groups, censorship and free speech, Children's Rights, Demand Accountability for Torture, economic social and cultural rights, Europe, human rights defenders, Middle East Uprising, Military Police and Arms, reparations for victims, right to organize, rights for victims of armed groups, Turkey, USA by Howard Eissenstat. Bookmark the permalink. This is a very good post. It's also worth noting that Turkey's constitution, pretty much created when Ataturk yanked the country out of the 19th Century, was drafted to protect the government over the citizenry. I Loved the holidays I had in Turkey and the welcoming people, this Police Brutality is not being discussed on media in Britain, I am truly shocked! !